The usual horizon of knowledge science is limited to nominalism, empiricism, and naturalistic and evolutionary epistemologies. I propose to broaden this horizon by applying some other philosophical attitudes, such as a non-nominalistic philosophy of language. 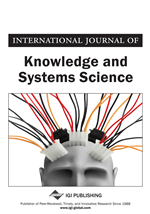 A basic methodology for the new episteme, including (nonnominalistic) typology and a definition of knowledge and of tacit knowledge, is proposed. Several types of knowledge and the corresponding tacit knowledge are discussed within a broadened philosophical context. There are many types of knowledge and tacit knowledge using different methods of sharing. The main problem with the effective sharing of tacit knowledge is sharing knowledge relevant to the given problem. The transfer, change and transformation of tacit knowledge into explicit knowledge are possible. An example of such a transition, which I call conceptualization, is described. Conceptualization exemplifies how new knowledge can be created with the use of tacit knowledge. A need also exists for a professional collaboration between knowledge science, knowledge management and philosophy. This article is divided into two parts. In the first part, I discuss some general connections between knowledge science and philosophy, cf. section 1. In the next sections, I present a philosophical and methodological discussion of the definitions of knowledge and tacit knowledge together with their possible classification. The minimal set of conditions which are necessary for an adequate grasp of the phenomena of knowledge and tacit knowledge is presented. Also, the conversion mechanism of tacit knowledge into explicit knowledge is described. The different types of knowledge with the corresponding kinds of the relevant tacit knowledge are given.